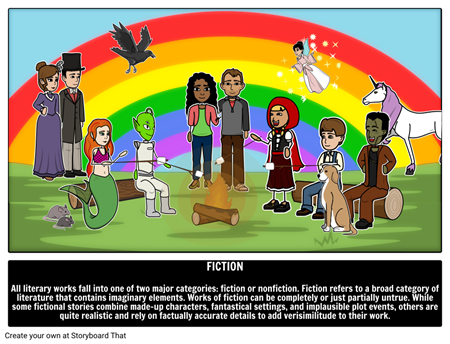 Welcome to Storyboard That's Illustrated Guide to Literary Genres! We have put together a collection of storyboards to help you better understand the different types of genres. Along with the storyboards are some great examples of each genre. We hope you enjoy this guide as much as we enjoyed making it. Click on any of the terms below to get started! The illustrated guide storyboards have easily digestible information with a visual to stimulate understanding and retention. Storyboard That is passionate about student agency, and we want everyone to be storytellers. Storyboards provide an excellent medium to showcase what students have learned, and to teach to others. 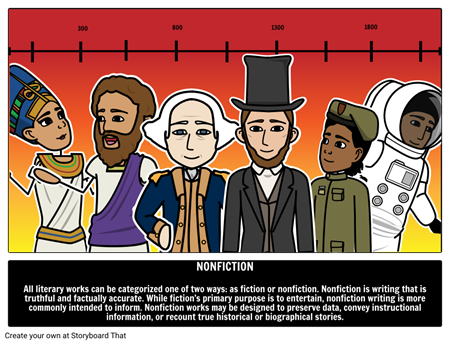 Use these illustrated guides as a springboard for individual and class-wide projects!